You might think that You and Your Sewing Machine wouldn’t be for you because you don’t get down and dirty with your sewing machine, but you’d be wrong. This isn’t a manual on how to repair your sewing machine, but more of an informational guide to your sewing machine. It will help you better understand how it works and help you solve issues when it isn’t performing as it should. 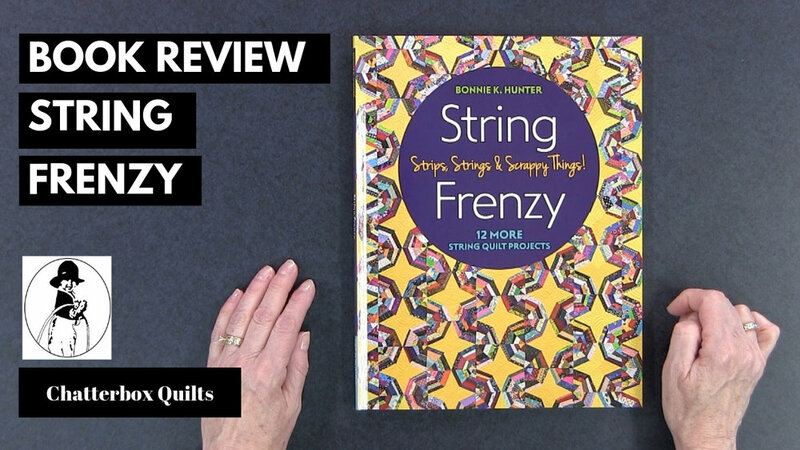 There is a lot of helpful information in this book and before you again start thinking that this will be a boring, technical manual, I think you’ll find that You and Your Sewing Machine is a really interesting read. First of all, I love it that Bernie uses the word “sewist” rather than “sewer” in the title. Just sounds so much more inclusive and elegant. If you’ve been sewing on a particular machine for a long time, you’ll become attuned to its “everything is great and I’m loving stitching with you” noises and its “something doesn’t feel quite right and I need help” noises. This book will help you to notice when things aren’t right with your machine and explain how you can ensure that it is kept running smoothly and what to do when it isn’t. 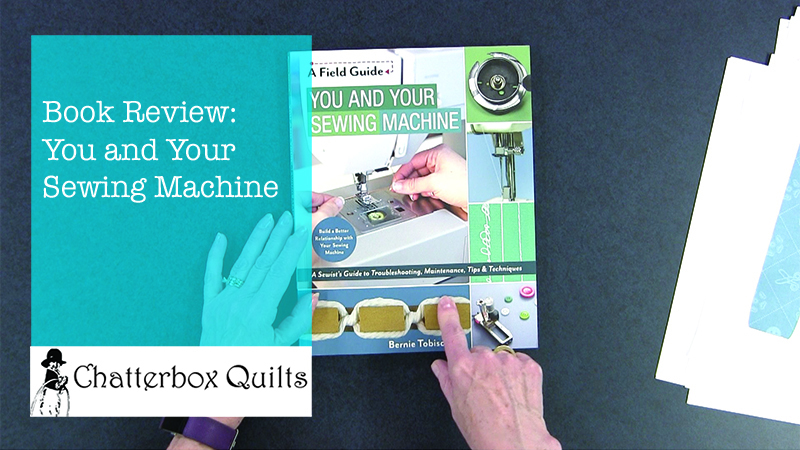 The book is divided into 3 sections: Getting to Know Your Sewing Machine, Maintaining Your Good Relationship, and Problems and How to Fix Them. In the first section, Bernie explains the differences between Manual, Electronic and Computerized sewing machines. I think many of us think of electronic and computerized sewing machines as being the same thing, but, as you’ll find out in You and Your Sewing Machine, there is a big difference. Bernie explains additional features on sewing machines and has a section on Questions to ask when buying a sewing machine at the end of this section, which I love! So handy! 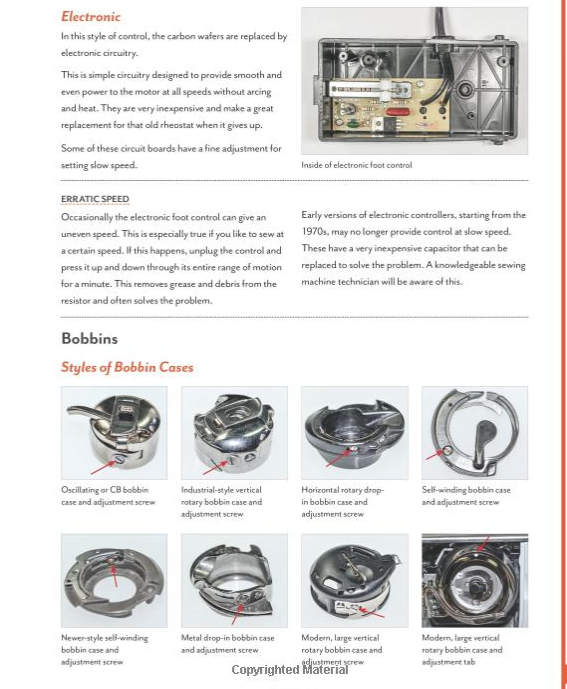 In the second section, Bernie goes into extensive detail on sewing machine feet and when and when not to use them. I’m sure that many of us have never had anyone explain this to us before. I found this section very informative and know that I’ll be referring to it in the future. He continues on to explain about maintaining your machine so you can avoid expensive repairs. There are lots of photos showing you exactly how to clean various areas on your machine and when and where you should apply oil. I know that most readers will find the last section on solving problems to be a lifesaver – or machine saver. Let’s face it, our machines don’t run perfectly all the time and this book is great reference for when things don’t go as we hoped. Even if this was the only section in the book that you ever looked at, it would be well worth buying this book! From tension issues to poorly wound bobbins, Bernie covers it all. The last part of the You and Your Sewing Machine is a list of problems and possible causes and solutions. This guide will be something that you will constantly refer to when you encounter an issue with your sewing machine. The book is full of detailed photos and up-close shots so you can easily see the various parts and problems to which Bernie is referring. What I really liked about this book was how the material was presented logically and in an easy to understand format. I like how Bernie explains how various parts on the sewing machine work so that you understand first and are then better able to determine what might cause a problem and how to fix it. I believe that understanding a sewing machine first is the best way to start off your relationship with it. If you don’t understand how tension works, you won’t know why it’s important to thread your machine with the presser foot up (in most cases). Once you understand how your sewing machine operates, you’ll be better set up to keep it running smoothly. For a closer look at You and Your Sewing Machine, click on the image below. If you are a true sewist, you’ll definitely want to have You and Your Sewing Machine in your library. Pure & Simple by Maggie Bonanomi is full of 17 primitive projects inspired by the seasons. These include small decorative projects, including wall hangings, table runners, pin cushions, and similar items. All of the projects are wool appliqué and are simple designs that should intentionally look imperfect for that perfect primitive look. 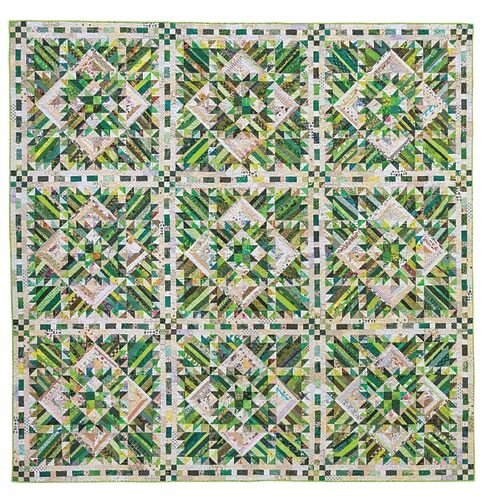 The projects in Pure & Simple are good for beginners as the shapes are simple and not intricate, making for a quicker and more successful project. The designs revolve around nature with flowers, branches, and vegetables in most of them. The examples in the book are done in muted colours: beiges, browns, and soft earthen tones. You could certainly make these in more vibrant colours, if that was your preference. The limited number of fabrics means you don’t have to have a lot of different colours of wool to do these projects. 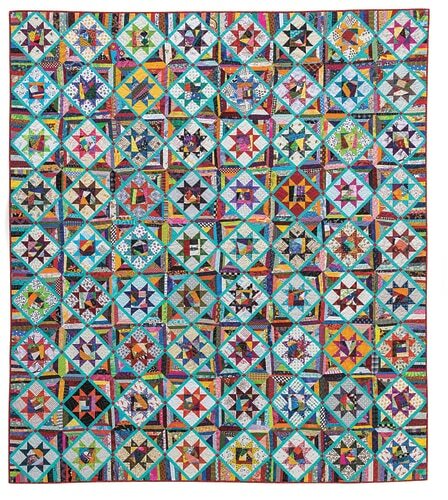 This is helpful for beginning wool appliquérs as they don’t have to invest in large amounts of wool to do these projects. 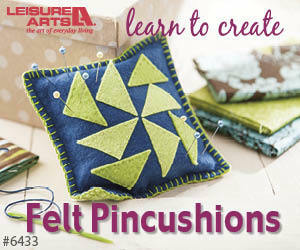 There isn’t much information in the way of directions for working with wool for appliqué, so if you have never worked with wool before, you might want to research techniques for doing this to ensure you are successful when making the projects in Pure & Simple. 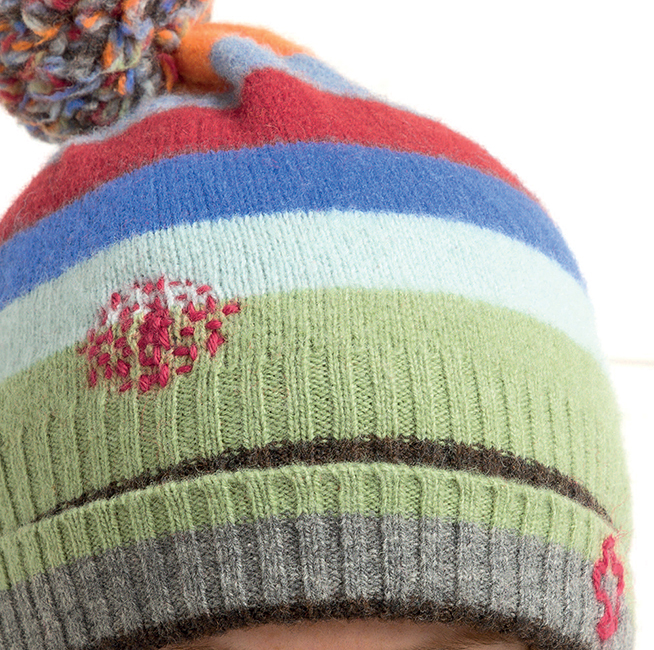 Wool appliqué is easy and you don’t have to worry about the wool edges fraying, but if you are a complete beginner, you might want to have more directions than are included in this book. Click on the image below for a more in-depth look at Pure & Simple. 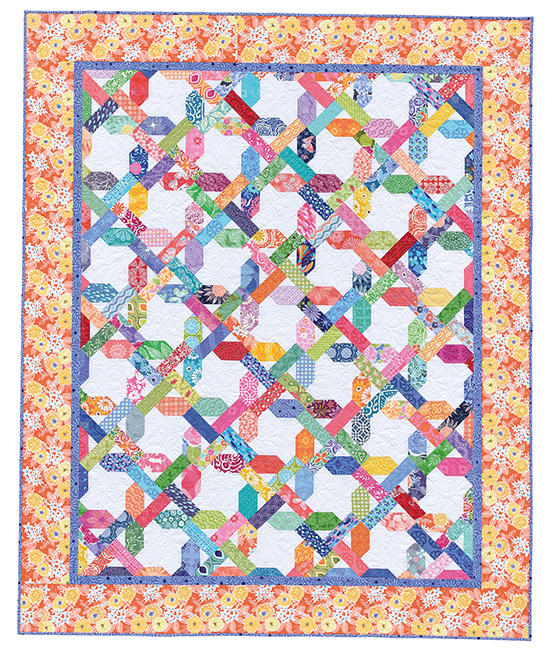 If you'd like to add Pure & Simple to your quilt library, click here. I found just the book I need! I recently bought a black semi-sheer top and didn't notice that it had two small holes near the hemline in the front. It wasn't until I got it home that I noticed them and was so disappointed. I wasn't sure what to do: whether I should darn the holes or try another solution, so the top has just been hanging in my closet. 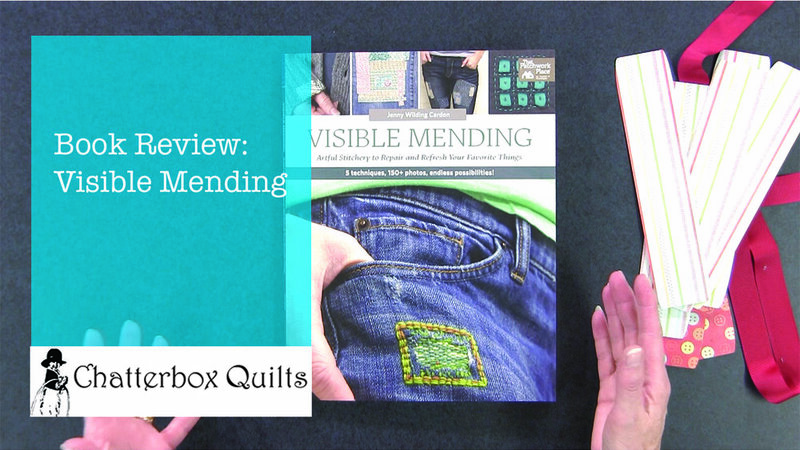 Enter the book I'm reviewing today: Visible Mending by Jenny Wilding Cardon. While no one ever relishes mending, you might actually be looking for garments on which to do this once you take a look at this book! In Visible Mending, Jenny shows you five different ways to fix your favourite garments that may have just a bit too much wear on them. Two of these techniques involve hand work while the remaining ones can be done on the sewing machine. Boro stitching and hand embroidery are both easy techniques and Jenny shows you various easy stitches on how to use these to fix holes in a top, sweater or other pieces of clothing. If you want to use your sewing machine to mend those holes, there are sections on patching, darning, and mending by machine. Whatever technique you choose, the stitching is meant to be seen. This makes it easier, in my opinion, to do these repairs as you don't have to try to hide the fix. For a closer look at Visible Mending, click on the photo below to watch a video on my YouTube channel. If you are looking for creative ways to fix holes in your favourite clothing, get your own copy of Visible Mending by Jenny Wilding Cardon.